When played gently, the drum is smooth and round. 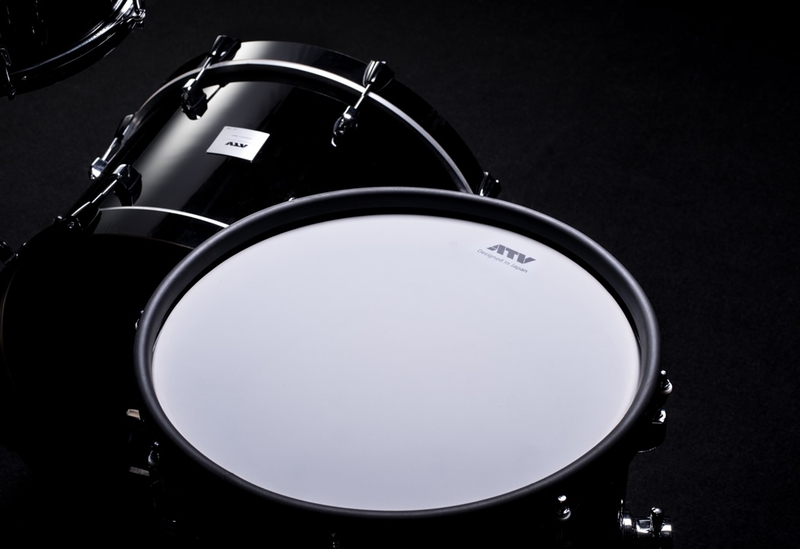 When you hit it hard, the drum has a commanding impact. Be inspired every time you practice, play, and perform. This is how you connect with your instrument. You desire more - raw power and emotion stir within you. These are the kind of instruments ATV creates for you. 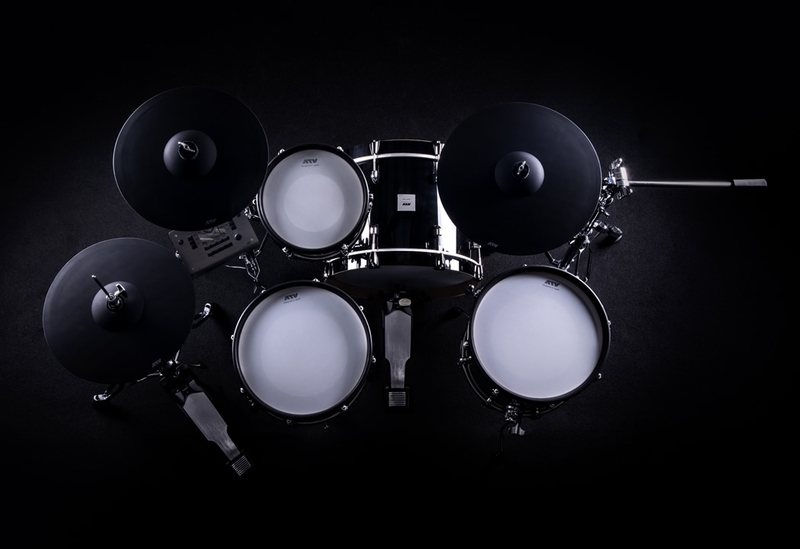 The aDrums are electronic drums based on the concepts of Authentic, Acoustic, and Artware. 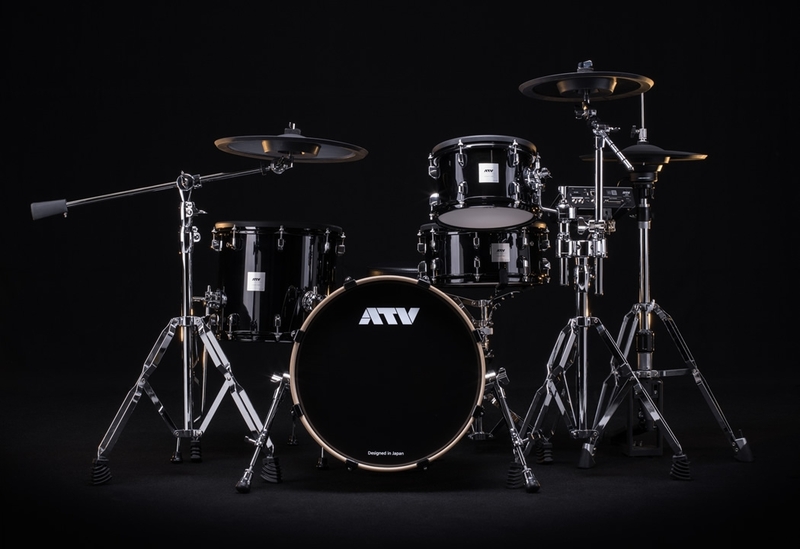 Our goals are to unify the setup, size, and feel in a way that will draw out a great-feeling performance from the player, to focus on the essence of the instrument, and to express the ultimate in acoustic drum sounds. Purity and legitimacy as an instrument. We eliminate unnecessary functionality, for a design that befits an instrument. We focus on delivering good sound and a good performing experience. Everything has been carefully selected and refined with the player in mind. The natural behavior of an acoustic instrument. Soft strikes produce a whisper, and strong strikes make the air tremble. 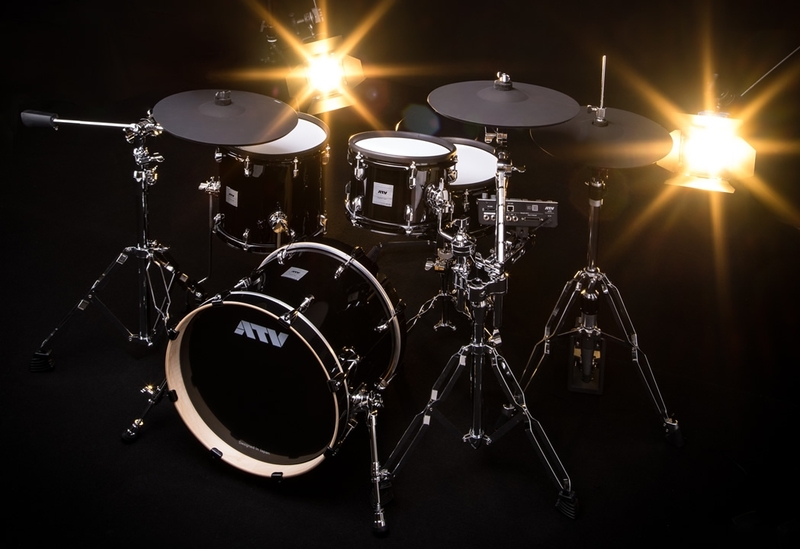 The bold and delicate expressions that previous instruments could not convey can now be fully expressed thanks to ATV's technology. Depth that resonates in your heart. Even though it might look the same as another instrument, a truly wonderful instrument is one in which we somehow become immersed. We are pursuing the true value of an instrument that cannot be expressed by specs or functions. *Actual product may differ from images shown.